Spectroscopic and photometric study of binary and multi-stellar systems, hot stars and Be stars by employing 2-m and 0.65-m telescopes in Ondrejov and other instruments in our international collaboration. The aim is to acquire more precise knowledge about fundamental physical properties particularly of the hot stars including usage of apsidal motion and orbit perturbations caused by a third or more bodies in the system. We analyze asteroids' lightcurves. Rotation states and shape models are derived by sophisticated inverse methods. These methods are gradually developed. 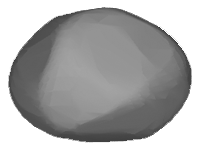 We also govern a database of asteroid models DAMIT. 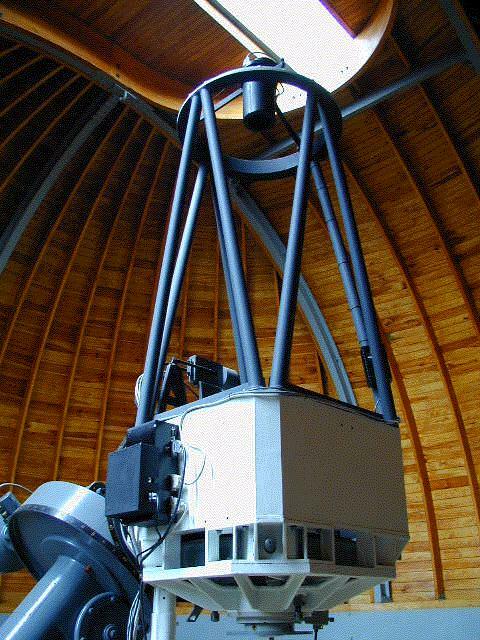 We collaborate with several professional and amateur observers of asteroids. We will also participate in analyzation of photometric data from the projects Pan-STARRS and LSST. We analyse effects of non-gravitational forces (e.g. the pressure of the direct or reflected solar radiation) on the motion of small bodies in the Solar system. Perturbations related to these, often very small, effects can gradually accumulate in time and thus produce significant changes in their orbital motion and/or rotational state. As an example, they can make a small asteroid leave the main belt between Mars and Jupiter and approach terrestrial planets or make its rotation velocity permanently increase until it reaches a critical limit when the asteroid undergoes fission into two or more pieces. Helioseismology is the only method of solar research that allows to "look" inside the Sun. Based on the investigation of the pattern of waves that travel through the solar interior we obtain the information about a thermodynamical structure and a plasma flow underneath the solar photosphere. This information is very useful for understanding the sunspots formation and origin of the solar activity. Currently, we develop a self-consistent tomographic code that will allow to perform 3-D helioseismic inversions of travel-times for any physical quantity describing the solar plasma. Statistical analysis of gamma-ray bursts. Physical properties and observational differences of groups of so called "short", "intermediate" and "long" bursts. Isotropy/anisotropy of their sky distribution. We employ photometric and spectroscopic data from the CGRO-BATSE, Swift and RHESSI satellites. Relationship between anisotropy of relict radiation and formation of structures in the Universe. Connection between supernovae and cosmological parameters. The Computational Cluster Tiger is dedicated to scientific computing of demanding tasks at the Astronomical Institute. It is based on the AMD x86_64 architecture and is powered by GNU Linux (CentOS 5.3 distribution). Its current computational capacity is equal to 150 GHz. There is also a server Sirrah available for employees and students. Webmaster: Jaroslav Haas, "haas", server "sirrah.troja.mff.cuni.cz"